Choosing Experienced ZPIC Audit Attorney - Oberheiden, P.C. The most dangerous thing about ZPIC audits is to underestimate them. More than occasionally, clients contact the attorneys of Oberheiden, P.C. with a request for help with a Medicare investigation that is a direct consequence of a mishandled ZPIC audit. Those clients produced bad files, often without seeking any legal advice, and then tried to negotiate the findings with CMS and law enforcement. Many of these investigations (and costs) could have been avoided by selecting qualified attorneys to handle the initial part of the audit. This brief article outlines some features that Medicare providers and health care businesses should look for when confronted with a ZPIC request. The primary purpose of a ZPIC audit is to investigate fraud, waste, or abuse as part of an effort to restore integrity to the federal health care system. Among other things, a ZPIC may investigate a health care company for (1) billing for services not rendered, (2) duplicate billing, (3) soliciting, offering, or receiving kickbacks for patient referrals, or (4) altering claims or records to obtain higher reimbursement rates. Typically, providers are not selected at random. 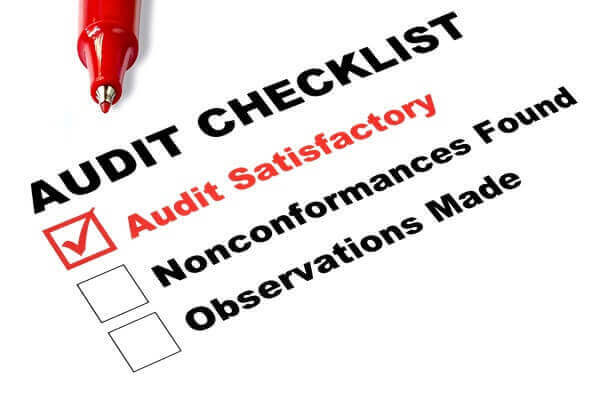 A ZPIC audit generally begins as a result of a variety of considered factors. For example, the ZPIC may utilize data analysis to identify billing trends or a high frequency of uncommon services as compared to local or national patterns. Whistleblowers, such as employees or former employees, may file a complaint about business practices. Alternatively, other government contractors or law enforcement agencies might refer a particular health care provider to a ZPIC for audit based on suspicious practices. Although it is possible for a ZPIC audit to be performed without negative consequences to a health care provider, that is often not the case. Commonly, health care providers are subject to pre-payment reviews, which result in a delay – or even outright denial – of payment for Medicare claims. A health care provider can also have its privilege to participate in federal health care programs revoked. At worst, a ZPIC audit can result in a referral to the Office of the Inspector General (OIG) or Department of Justice (DOJ) for civil or criminal prosecution. It is highly recommended that legal counsel be engaged to assist in this process. ZPICs have substantial authority and operate with a significant amount of discretion. As a result, it is crucial to respond to any ZPIC contact with care and precision. ZPIC audit advice is not part of an ordinary lawyer’s daily routine. Not only are the underlying rules complex, but there is a real danger of producing the wrong information or simply bad documents. From our experience as former health care fraud prosecutors with the Department of Justice, we know how quickly an innocent response to a government subpoena or audit request can attract the attention of the U.S. Attorney’s Office. Lynette Byrd at Oberheiden, P.C. previously oversaw health care investigations at the U.S. Attorney’s Office, including a large number of ZPIC audits. When selecting from a pool of candidates, you should use the free consultation to ask a medicare fraud defense lawyer questions that can help you make an educated decision as to which criminal defense attorney appears to be the best fit. Here are some sample questions. How many ZPIC audits have you handled in your career? Explain to me how the process of a ZPIC audit works. Explain to me how a ZPIC audit can turn into a health care fraud investigation. What do you see to be the biggest mistakes when responding to an audit? Who at your firm would handle my case and what is that defense lawyer’s specific ZPIC experience? Remember, ZPIC investigations often begin without notice to the health care provider. The auditors may show up to conduct interviews with personnel and staff of the targeted health care entity. The auditors may also request patient records and other documents. It is extremely important to have a trusted attorney who can help you immediately when the government wants you to be unprepared. Oberheiden, P.C. consists of former Medicare fraud prosecutors and law enforcement personnel, as well as experienced defense attorneys, that have specific experience with hundreds, if not thousands, of ZPIC audits. Our combined experience of decades in charge of Medicare and Medicaid investigations helps our clients to better understand what government lawyers are looking for when reviewing health care data and ZPIC information. Below is our recommended ZPIC audit attorney. Feel free to contact one of our ZPIC audit attorneys directly. We are happy to share our ideas with respect to ZPIC audits and how to make sure that the audit does not turn into a bigger-scale Medicare investigation. Your call is free and confidential and you can reach our attorneys on weekends.